Families are better off living in the American South or Midwest, according to a new study by rental listing site Zumper. 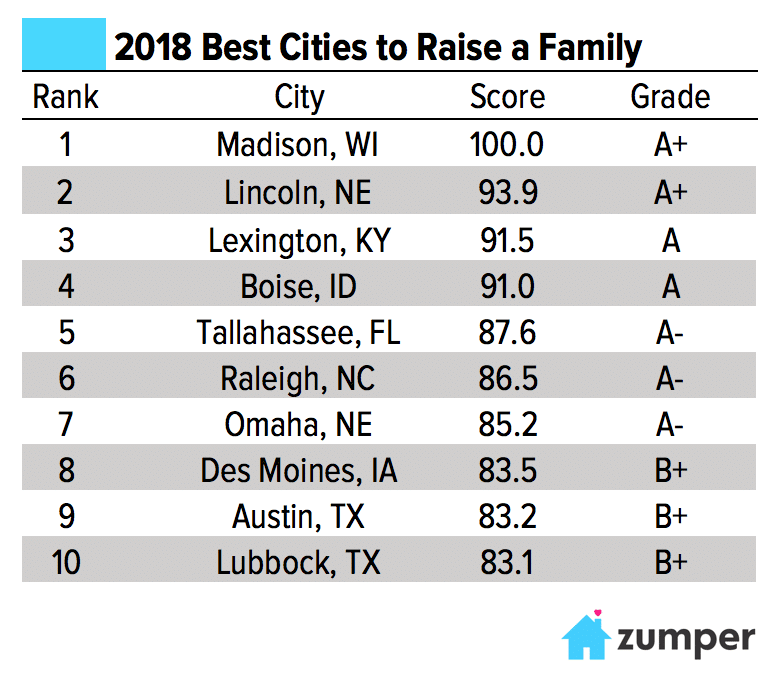 The best city for families is Wisconsin state capital Madison, with an average commute time under 20 minutes, and the lowest high school dropout rate. Baltimore ranked lowest, 94th, with high housing costs, a high unemployment rate, and a high crime rate, The New York Times reports. 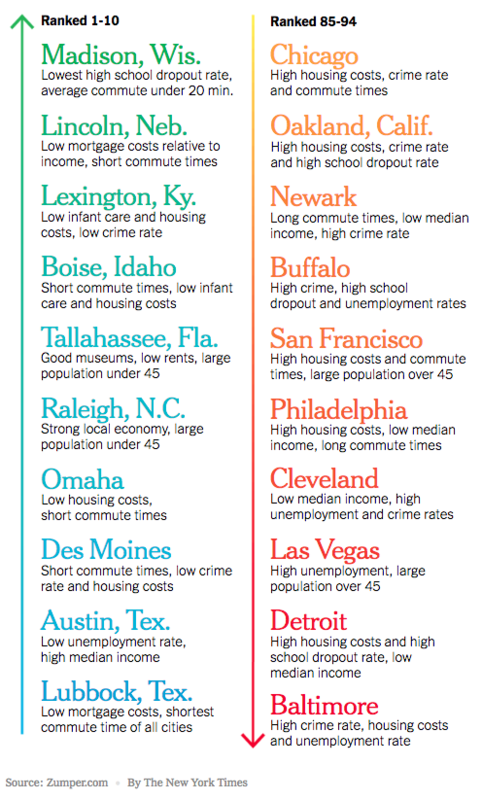 Metrics used in the study to rank American cities included median incomes, housing costs, crime and unemployment rates, and the share of the population aged under 45 years old, with analysis based on Census, FBI, and Bureau of Labor Statistics data. Higher mortgage rates, more expensive child care, and longer commutes were among the reasons Northeastern cities didn’t fare as well in the study. Not surprisingly, New York City ranked low — 84th out of 94 ... Six of the country’s 100 largest cities were eliminated because of incomplete data or because they overlapped in census reporting. The 10 best and worst of the remaining 94 are listed, along with the primary factors that contributed to their rankings.